Two sisters look longingly through their window at the snowy sky. One goes out and sculpts a little rabbit, but when she brings it back inside to her wheelchair-bound sister, it begins to melt. So they take it outside and into the forest where enchanted things begin to happen. 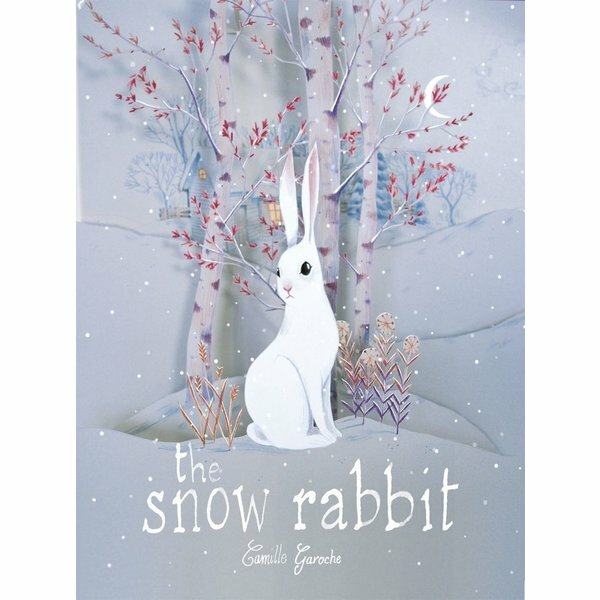 Camille Garoche (a.k.a. Princess Camcam) mounts paper cut scenes into dioramas that are then meticulously lit and photographed, lending the illustrations depth and heightened drama. 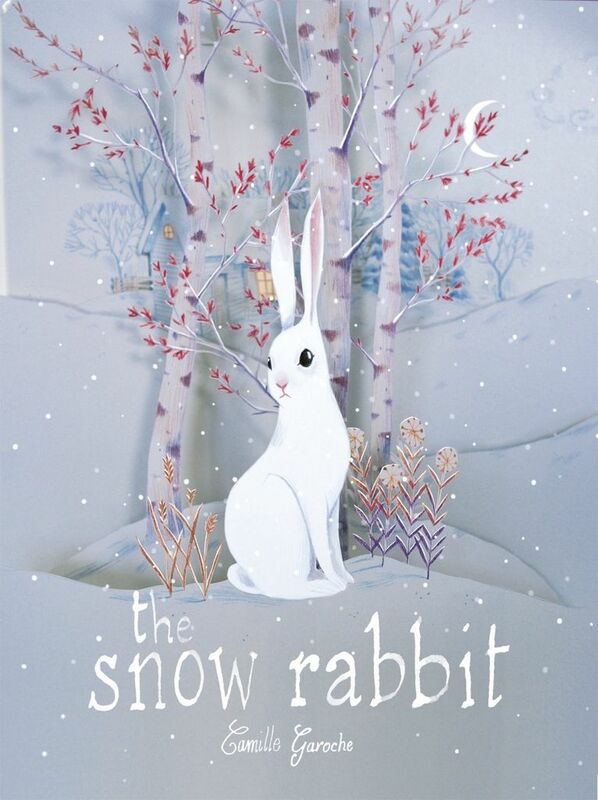 Steeped in subtle detail and unspoken emotion, The Snow Rabbit is a book to cherish.